After arresting a fellow officer for speeding over 120mph, a Florida Highway Patrol (FHP) trooper recently received a settlement connected to fellow cops illegally obtaining her personal information. Although 88 law enforcement officers were accused of illegally accessing her information over 200 times and threatening her, only two cops have been named in a settled lawsuit. 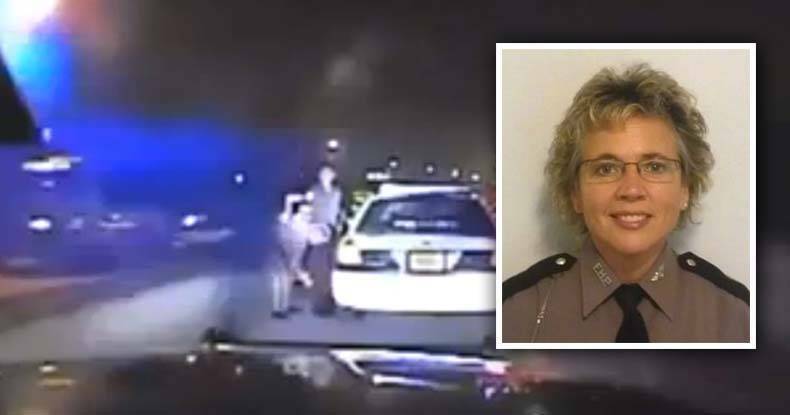 On October 11, 2011, FHP trooper Donna “Jane” Watts pulled over off-duty Miami Police Officer Fausto Lopez for driving through Broward County in his marked patrol car at speeds exceeding 120mph. Caught on Watts’ dash cam video, Lopez refused to stop his vehicle for several minutes before finally deciding to pull over on the wrong side of the highway. After Watts cuffed and processed the reckless off-duty cop for speeding, at least 88 law enforcement officers illegally accessed her personal information over 200 times to retaliate against the female cop for breaking the thin blue line. Instead of upholding the law, dozens of disgruntled cops illegally accessed Watts’ home address, picture, Social Security number, date of birth, and detailed vehicle description. According to Watts’ lawsuit, at least 88 cops from 25 jurisdictions illegally accessed her information, issued threatening phone calls, and lingered in police vehicles in front of her residence for no justifiable reason. Due to the fact that law enforcement officers regularly break speeding laws, a multitude of cops launched a covert psychological war against Watts for calling out one of their own. According to a three-month Sun Sentinel investigation, 800 cops from a dozen agencies have been caught illegally driving between 90 and 130mph on our highways. On February 29, Hollywood officials mailed a $5,000 settlement to Watts after she accused officers Robert Gianino and Keith Wadsworth of accessing her driver’s license information three times for non-police-related reasons. Before Watts even filed suit, the city of Margate settled for $10,000 while the city of Lauderhill settled for $7,500 after their cops illegally accessed her info. Pending cases include allegedly crooked cops from the Broward Sheriff’s Office, the cities of Miami, Orlando, Port St. Lucie, and 14 employees of the FHP, who illegally accessed Watts’ personal information. Instead of using a database to locate potential criminals, these reckless cops utilized that clandestine information against one of their own. Although the honest officer has received several settlements paid by taxpayers, no corrupt cop has received punitive damages for breaking the law and screwing over a fellow cop.